Like so many other families we have been watching our cost of living expenses go up while our income has remained the same. As a result we started aggressively looking at our monthly expenses and ways in which we could save money. In the end it wasn’t about being cheap, it was about being smart with our money. 1. 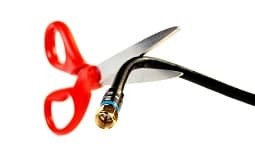 Cut the Cable – this is becoming a national trend as more and more families are realizing that their cable bill has gotten out of control and there are so many other cheaper alternatives out there. Online services such as Netflix, Hulu and Amazon now allow families to still have access to shows and movies but without the sticker shock of standard cable. In fact, there are now lots of quality shows that are ONLY available within these platforms and not on standard cable. In years past the cable companies have had a monopoly on TV entertainment but heading into 2018 they need to realize that in the end their high cost is motivating families to seek out cheaper alternatives. 2. Stop Drinking Coffee – Let’s not be too dramatic here. We still love to have our cup of morning (and afternoon) coffee but we have reduced the number of trips we take through the Dunkin Donuts or Starbucks drive-thru. These daily trips were costing us well over $100 per month and we can cut this number in half (at least) by utilizing our at-home coffee maker instead. Not to mention the collateral benefit of not having to wait in those long lines, having our order messed up or being tempted by those overpriced (and unhealthy) breakfast sandwiches or donuts. 3. Shop Around For Insurance – You would not believe how much money people throw away each year on their insurance – especially auto insurance. We make a habit of shopping around with various carriers every year when our annual renewal notice arrives. We have found that the two carriers offering us the lowest rates have been Geico and Progressive. Obviously there are numerous factors that go into auto insurance and there is really no ‘one size fits all’ scenario. Just do yourself a favor and take 10 minutes to look at other carriers. You might be very surprised how much you are overpaying. Also, look into bundle savings that often times exist when you combine your auto and home owners insurance with one carrier. Lastly, call your current provider and ask them to review your policy and look for savings. You may find that your policy includes unnecessary services that are costing you more money each year. Don’t assume anything when it comes to insurance! 4. Loan Consolidation – This is especially true if you are carrying credit card balances that have high interest rates. Do yourself a favor and look to see just how much money you are wasting each month in interest and fees. Unfortunately for many of you reading this your collective interest and fees may easily be costing you more than $100 per month. If you still have good credit then you should start looking for balance transfer offers that many credit card companies are now offering. 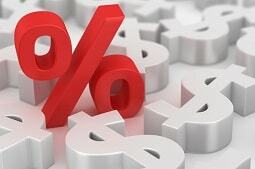 These offers allow you to transfer over high interest balances into a new account that has a very low APR (interest rate) some as low as 0%. This rate is locked in for a set amount of time (usually 12-18 months) and this move alone can save you hundreds throughout the life of the promotion. Not to mention you will also be in a better position to actually pay your balances down (if not completely off). 5. 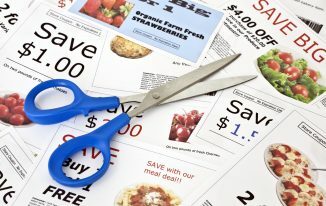 Start Clipping Coupons – While coupons savings look small (.50 here and $1 there) if used consistently they can really add up to big time savings over time. The increase use of mobile coupons have made it even easier as well as cheaper (no need for a printer, paper and ink) for couponers. With a little upfront effort and time it is not unreasonable for a couponer to save themselves $100 each month off their grocery bill. Also, purchasing non-perishables in bulk and generic brands can add even more to your savings. 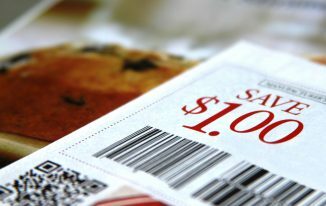 For us clipping coupons goes beyond the simple act of saving $1 off your toilet paper purchase. It is about looking for ways to save in your everyday life and becoming a more educated consumer. Stop paying full price! Seek out discounts and look for ways to save YOUR money. Put it back in YOUR pocket. 6. Thrift Stores – Places such as Goodwill and the Salvation Army are great places to find very reasonably priced goods such as clothing, jackets, shoes and so much more. Great also for kids’ clothing that they seem to outgrow in a matter of weeks. We also routinely find brand-new items at these places so it is not just for used stuff. Lastly, you should consider donating your unwanted ‘stuff’ to these organizations as it is a good way to pay-it-forward and is also good for a small tax deduction. 7. 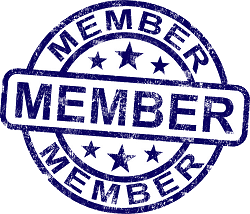 Memberships / Subscriptions – Periodically it is a good idea to take a look at what memberships and subscriptions you are paying for and assess just how much you are using them. Why continue to pay $50 per month for that gym membership that you are only using 1-2 times per month? 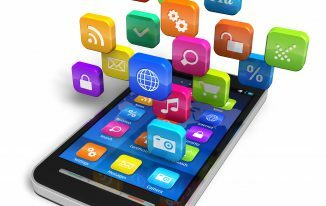 What about all those online services such as Netflix, Hulu and Amazon? Are you paying for satellite radio service? All of these small services can quickly add up to a big expense and often times their lack of regular use doesn’t justify the cost. 8. Avoid Eating Out – We are guilty as charged! We know we eat out way more than we should and commonly use the ‘kids’ as our excuse how come. Truth is this can become a very expensive habit. Just look over last month’s debit or credit card statement and add up all those trips to local restaurants or McDonalds to see what the total damage was for the month. You may be surprised (or shocked) when you see how high that number is. If you are looking to save money on your monthly budget then consider packing your lunch each day and pre-planning your meals at night. 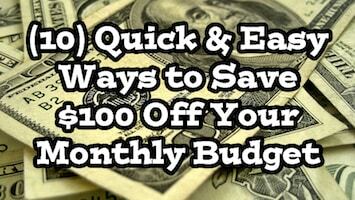 Doing this will certainly reduce impulse meal purchases and your monthly savings can easily exceed $100. 9. 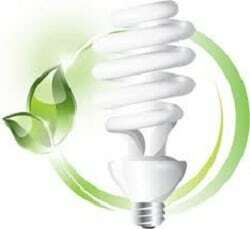 Energy Savings – Depending upon your living/residence situation there may be several ways in which you could save yourself money each month by making yourself more energy efficient. Some examples are purchasing a programmable thermostat, LED lighting, properly insulating your home and taking steps to winterize your home. 10. Automobile Costs – Trying to save money each month? Look no further than the car or car(s) sitting outside your house. For many of us having a car is an absolute necessity but for others the use of public transportation can be a much cheaper option. Having more than one car? Consider selling one and relieving yourself of the loan payment and insurance/maintenance costs. Carpooling to work may be a more cost effective way for you to get back-and-forth from work – using Uber is also an option in some areas.